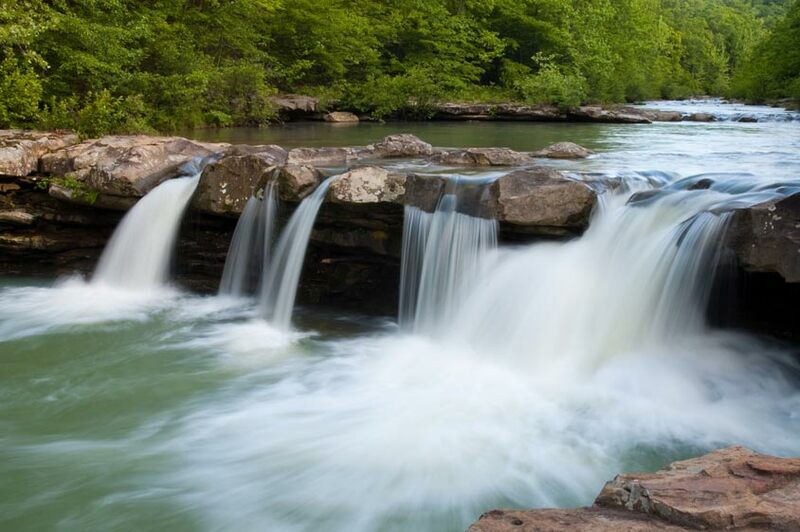 This serene Ozark setting is a popular site here in Arkansas – and for good reason. Kings River Falls is one of those special places that people enjoy visiting time and time again. 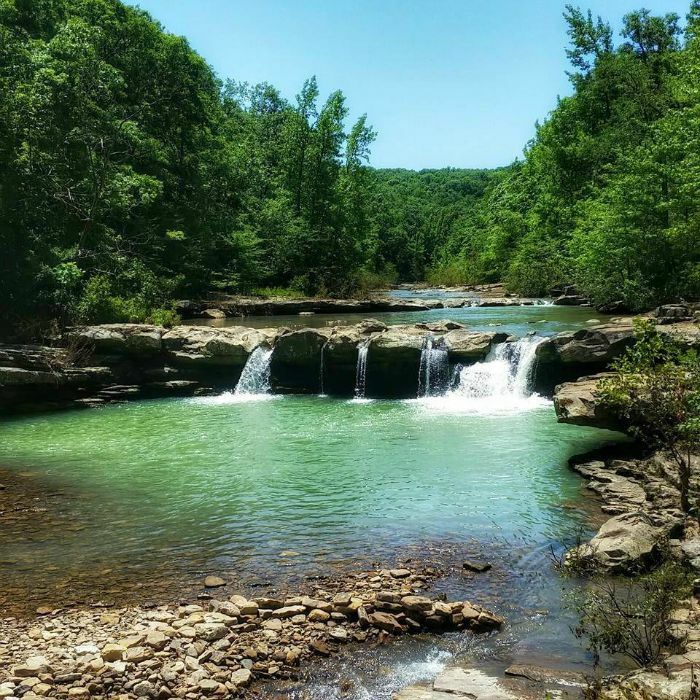 The hike to the falls and back is an easy 1.2 mile trip across mostly flat terrain, which makes for a great family-friendly hike. 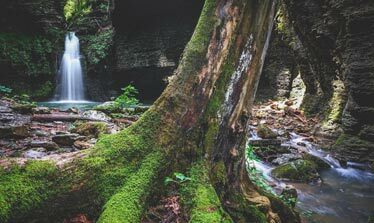 The falls are, of course, the highlight here, but there are also some other short side hikes to explore around the area, including a small bluff that offers a nice overhead view of the falls. When you visit Kings River Falls, plan to spend some time here relaxing by the falls and exploring along the river in this picturesque valley. The falls are located about 20 miles southeast of Huntsville. Take HWY 23 south to 127-E and turn left. Continue to Madison for 5.1 miles, turn left on 3345, go 5.5 miles and then turn left on 3500. After about 1.5 miles there will be a parking area on the left right before a bridge.